Screw Distributors are suppliers of high quality products, this extends to their range of rivets. Alongside this, as pop rivets suppliers, our technical know-how means that we are able to properly advise customers on their usage and applications. Below is an article detailing the purpose of pop rivets as well as the correct method of their installation. 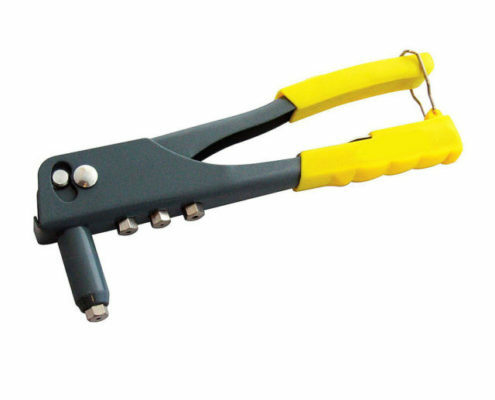 Pop Riveting is generally used to conjoin two metal or plastic components together through pre-drilled or pre-made holes using a pop rivet gun. This is especially useful in a large number of applications that involve making metal or plastic products, and also for repairing them. 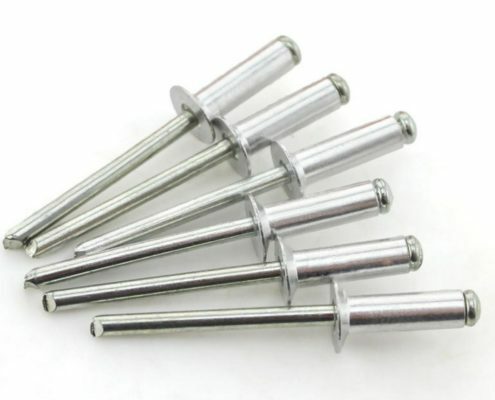 Pop rivets come in a number of pop rivet sizes as related to their thickness and length. Within industrial and household applications, it’s a good idea to acquire a number of different pop rivets in order to ensure that the right type is available when needed. 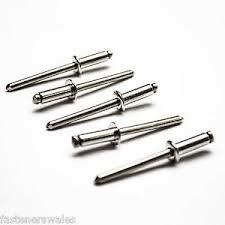 If you need specific pop rivet sizes for a particular task, you can look at the packaging or its technical information provided by the pop rivets suppliers. This provides the “grip range”, which is the total length of the components that need to be joined. Assessing the thickness needed is a simple matter of knowing the size of the holes that the pop rivets will be installed into. A pop rivet gun is a simple tool in its usage. Before using it, however, there are a number of steps to follow before the actual pop riveting of the components you need to join together. Start by aligning the metal or plastic components that need to be joined, as the hole needs to be drilled through both of these in the same spot to accommodate the pop rivet. Before drilling, punch a light dent into the exact spot that you intend to create the hole, so as to allow better control of the drill itself. Once the hole has been drilled to accommodate the correct pop rivet sizes, take and observe the pop rivet gun. There are a number of inserts attached to the frame that accommodate different pop rivet sizes. Test the inserts to make sure that they snugly fit the pop rivet that you intend to use. If it does, screw the insert into the head of the pop rivet gun. Once the pop rivet insert has been screwed in, place the pop rivet into the pre-drilled holes on the metal or plastic components. Check that everything is aligned, then place the pop rivet gun onto the pop rivet and squeeze the handle until you hear a loud snapping sound. This may take a few squeezes, but once done, you can remove the gun. The pin usually remains in the rivet gun, and can be pushed out with another rivet. Tip: When working with plastic sheets, it’s usually a good idea to use a rivet washer on the other side of the sheets before pop riveting them. 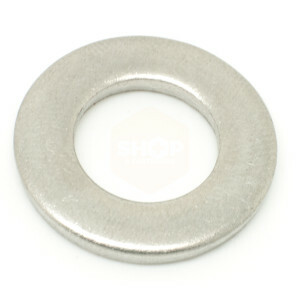 Pop riveting without them may lead to over-compression of the plastic, and can compromise the bond in the long term. Though pop rivets are usually intended for permanent use, the rivets gained from pop rivets suppliers may sometimes need to be removed for a number of reasons. There are two popular methods of removing pop rivets. The first method is to drill out the core of the pop rivet using a drill bit that is smaller than the pop rivet itself. The pop rivet will generally be easy to push out after this point. The second method involves grinding off the head of the rivet and to then punch the core though the other side. Pop Riveting holds a number of advantages over other methods of bonding metal and plastic components together. They are time and cost effective. Pop Rivets, while they have fairly limited applications, make for very cheap fasteners. Their installation also takes up a lot less time than other fastening methods. They are durable. Pop Rivets can be used for permanent bond. Where they lack strength, they last an incredibly long time when used for the correct applications. They are widely available. 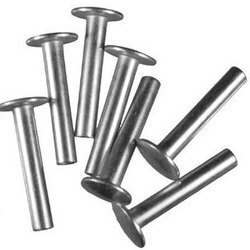 These fasteners are available just about everywhere, and come in a huge number of pop rivet sizes. 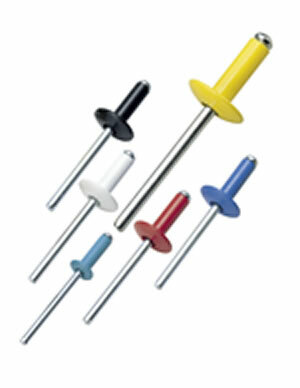 Screw Distributors are suppliers of high quality fasteners, which includes their pop rivet products. The variety in type and pop rivet sizes we have available, in conjunction with our technical knowledge, means that we are able to help our customers with more than just a reliable supplier. We are also able to correctly advise on their usage. Howjunction. (2018). How to use a pop riveter (hand-held). [online] Available at: http://www.howjunction.com/how-to-use-a-pop-riveter-hand-held.html [Accessed 19 Feb. 2018]. Doityourself.com. (2018). 5 Advantages of Using Solid Rivets | DoItYourself.com. [online] Available at: https://www.doityourself.com/stry/5-advantages-of-using-solid-rivets [Accessed 19 Feb. 2018].